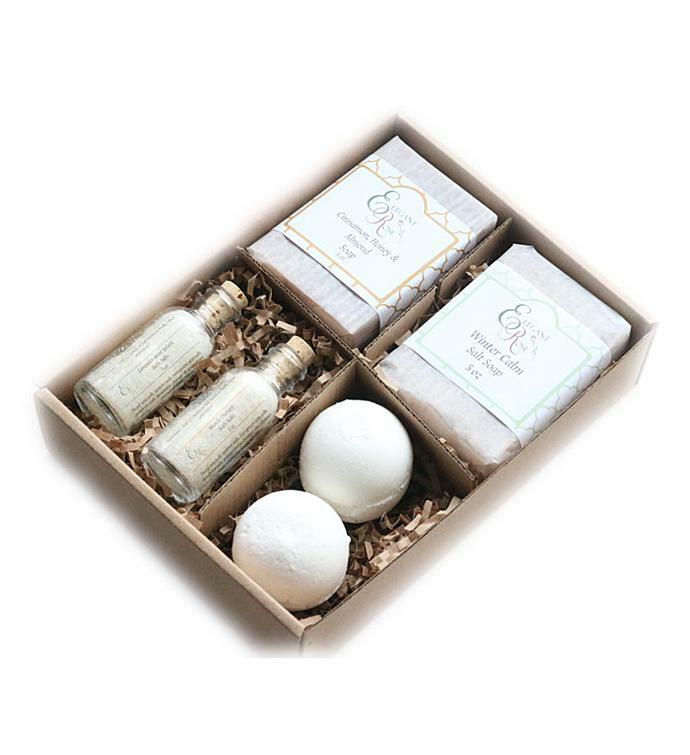 The bestselling Pampering Gift Set features a variety of handmade and natural products packaged and wrapped beautifully. Blending aromatics in the scent category of your choice, this gift set will give the ladies in your life (or yourself) a reason to unwind at the end of the night. Blending aromatics in the scent category of your choice, this gift set will give the ladies in your life (or yourself) a reason to unwind at the end of the night.